Once the initial design is completed, the customer can rest assured that Microflex is a committed and proactive partner in the validation of the new component. Microflex engineering is committed to providing support at our site or in the field, in order to collect data, further analyze the component or system, and provide testing to complete the validation process, which may include PPAP. 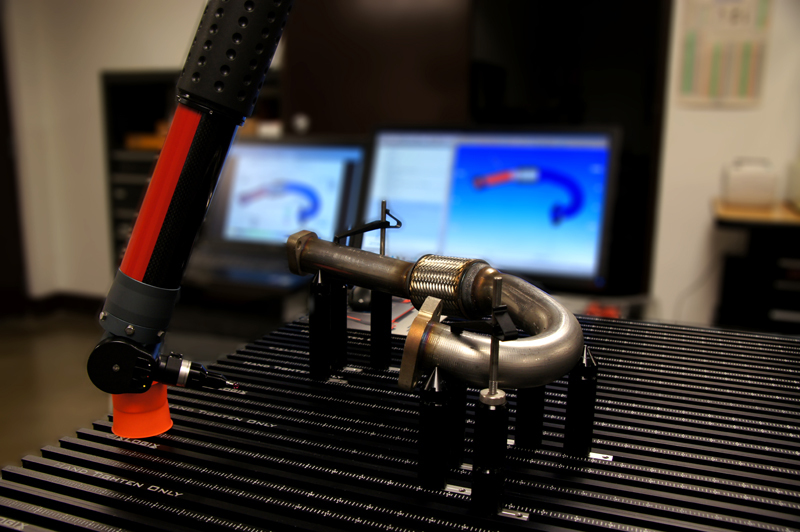 The tools we use to support the validation process include FEA analysis, cyclic fatigue testing, destructive lab tests, and NVH data collection to extract damaging resonances and determine system modes and responses. Thermal imaging is a tool we use to expose high heat areas or hot spots which can lead to thermal fatigue and/or material mechanical property degradation. This is an often overlooked failure mode in automotive applications. High speed camera data can also be used, in some instances to expose high frequency resonances that are not visible to the naked eye. The development process for Microflex not only focuses on the individual component but takes a systematic approach that includes attached piping and supports, since these directly affect the part’s performance. Our commitment is to partner with the customer to provide a system solution for the very dynamic automotive environment.